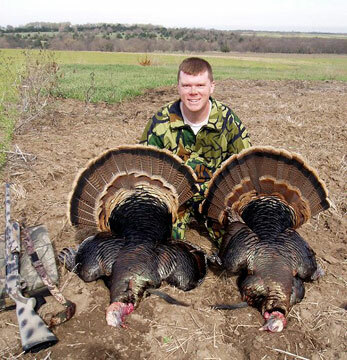 New Mid-America Hunting Association hunters have many turkey hunting expectations. We seek to moderate. Narrowing down possible expectations to ones we will fill. Our entire web site is geared to thoroughly identifying what we offer. 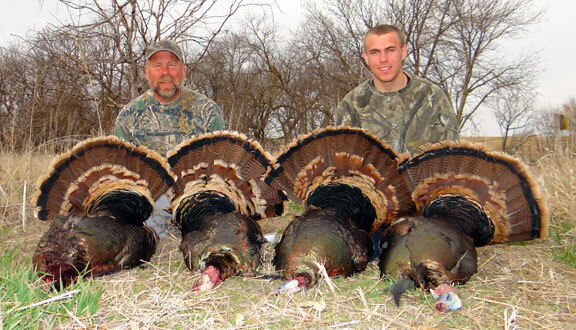 To avoid as much as we can unreasonable turkey hunting expectations of services we provide. Our turkey hunting is accurately described as self guided. On private lease land we have leased for our exclusive fair chase use in Kansas, Iowa and Missouri. Each member pays his portion of collective lease costs. Expectations beyond this should be questions to us, call anytime. With the web full of lodges, full service hunts and much more other than what we are, we have found need to define what we do. It seems we are unique to many who search for their next good trip. Do it yourself turkey hunting means, each member must conduct his own field efforts, use his own equipment, do his own scouting. Limitations include one hunter may be with another. Others must also be members. Or, only those who pay for our leases occupy their land. Membership means either as a family member on a discounted/dependent only family membership. Or, another individual member at full cost. No guide services or other description of any other non-member brought on our leases for any reason. Private land access. By reservations assuring all a place free of others. Spots posted to road maps with aerials. Reservation insures hunter separation. Not having too many consecutive hunter days on one lease. This is a quality issue, enhancement to prevent “public land” issues. Also why folks renew their membership for seasons to come. An aspect well illustrating how we do not attempt rehabilitation of members who fail to make reservations. In these cases our approach is simply retribution by means of elimination from MAHA. Sensitive folks may find this crass. That all changes when setup early calling in a strutting tom and some joker comes stumbling in where he does not belong. Wow, a rare day. Everyone wants such a day. Tough to put together on one morning. The description of acreage as listed on the MAHA lease maps is not to be taken lightly. All who walk MAHA leases must insure they have the most current map sheet. Turkey season is just a case when those maps used during a fall deer hunt may have changed prior to spring season. Expectations include land changes due to it being sold, retirements, divorce, death, improvements taking cover. Otherwise we seek long term lease contracts. Recognition of additional satisfaction derives form returning to familiar ground. All hunts are on wild turkeys. Free of man-made influences of feeders or released birds. Fair chase wild hunts have been all we have ever provided. We gain many inquires of if our flocks are naturally propagated. Mostly from those coming for states with developing turkey programs. Some hunters have only or predominately hunted transplanted/released flocks. Long time experienced to those just trying to figure it all out. What hunters can expect is making their own hunts. How good or not so good is self guided hunter earned. Hunters range from those satisfied with one tom to those who attempt or do fill all five available tags. A significant expectation which becomes fulfilled is one some have not experienced before. That is our more leisurely approach anyone may take during his hunt. Birds and farmland is there. Waiting for hunters. No need rush to beat another to a spot. Within our organization a common comment from first year member is along lines how he has come to enjoy avoidance of public lands hunter mentality. Taking away public lands mentality allows hunters to work towards further increasing his enjoyment. 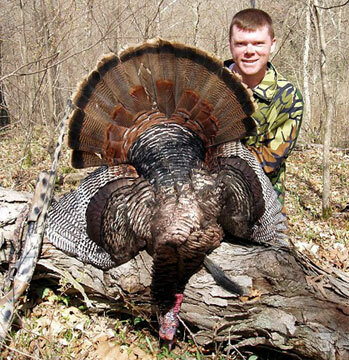 Quality frequently changes from maximizing any number of tags filled to hunting bigger toms. This occurs over time. Is influenced much by spending field time each spring turkey and fall deer season over a narrow collection of farms. There are more benefits to be gained. Listed on this page are highlights/expectations told to us over years by many hunters. 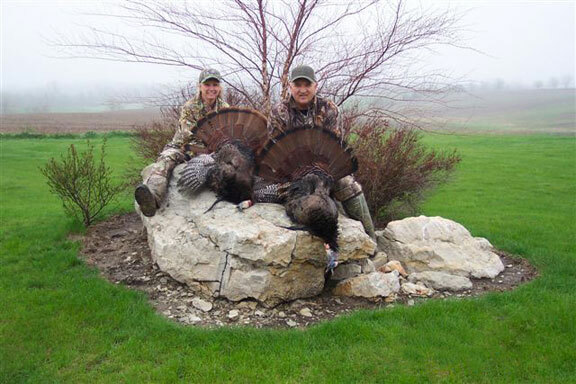 Reading some turkey hunter testimonials will bring the same conclusions of what are reasonable expectations.